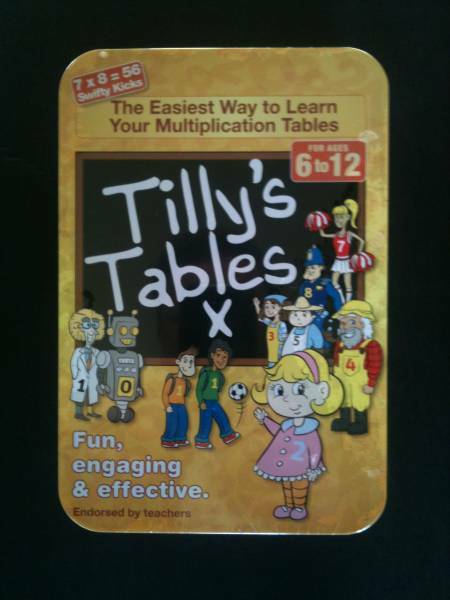 Tilly's Tables Multiplication Flash Cards, 121 Quality Flash Cards to help children learn the Times Tables quickly! Tilly's Tables can help you and your child to achieve greater success learning and remembering the multiplication times tables with minimum effort, and it is ideally suited to middle primary-school-age children, with this system it is just as easy to learn the 7 times tables as it is to learn the five or ten times tables.The picture , short story and punch line create a memory hook in your child's imagination helping them to remember the answer to each multiplication fact.This system works great for visual learners because of the pictures and the short story helps auditory learners. Kinaesthetic learners can act out the scene or play games based on the story for each multiplication fact.